I built this bookcase/cabinet in homage to the Cincinnati Art Furniture carvers of the late 19th century. This group of women were trained in drawing and carving at a progressive art school in Cincinnati. 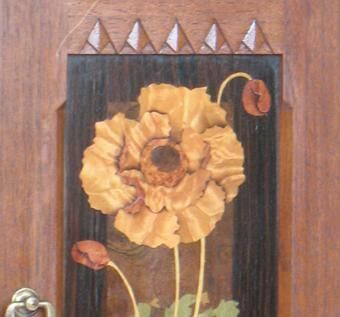 Their subject matter was the natural world of flowering plants. I have been inspired and delighted by their work, . 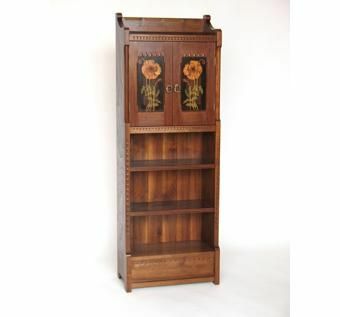 This bookcase also evokes the work of William Morris, the father of British Arts and Crafts. 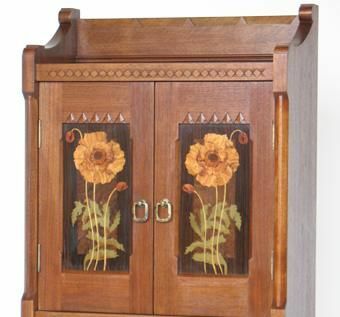 It features marquetry and chip carving and has a hidden drawer in the base.